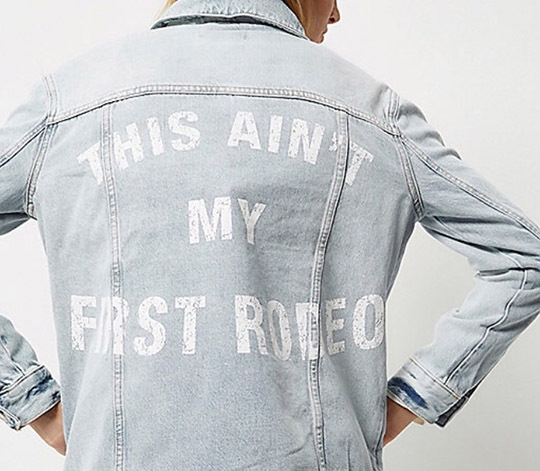 Denim- it’s literally everywhere and has been for years, however, this season celebrities and brands alike have taken the trend up a notch and we can’t get enough! 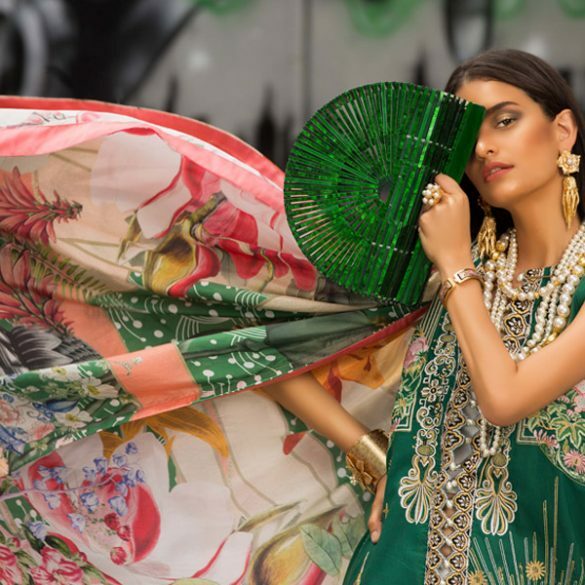 With the likes of Rihanna, Gwen Stefani and Jennifer Lopez sporting their own unique takes on the trend. 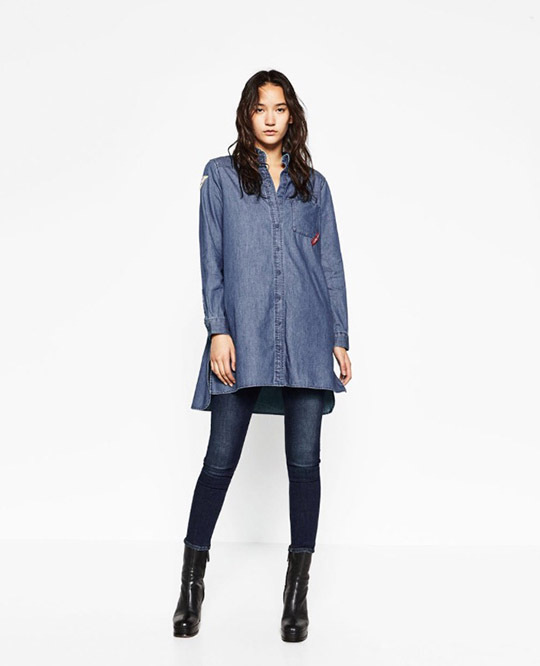 This season we’ll be seeing denim in every form whether it’s denim caps or denim hand bags this look is here to stay! 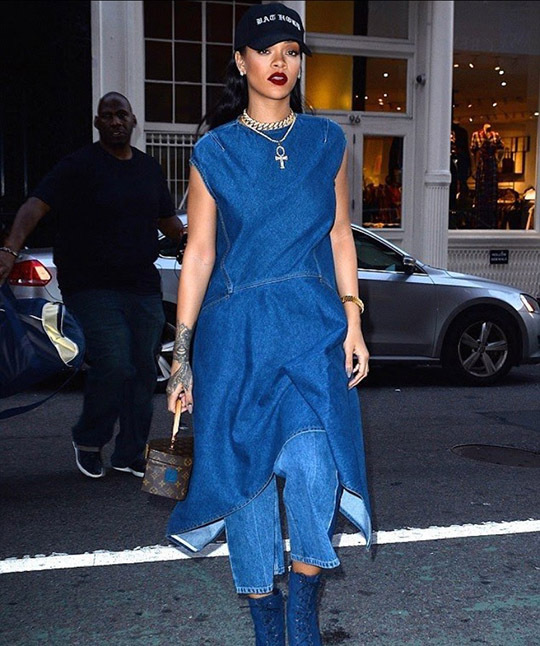 Celebrities are loving the denim on denim look with Rihanna spotted out and about in a baggy denim top and jeans with ankle boots and gold jewelry- creating an uber hip and edgy appeal. We saw Gigi Hadid looking flawless in a graphic t-shirt paired with a denim jacket and jeans and maroon suede boots, giving us major rocker chic vibes. 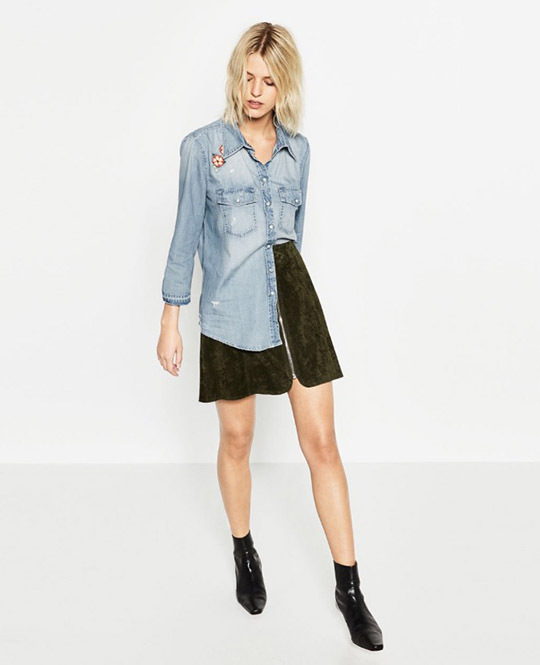 Get a similar look with River Islands denim jacket and Zara’s super cool patch jeans! 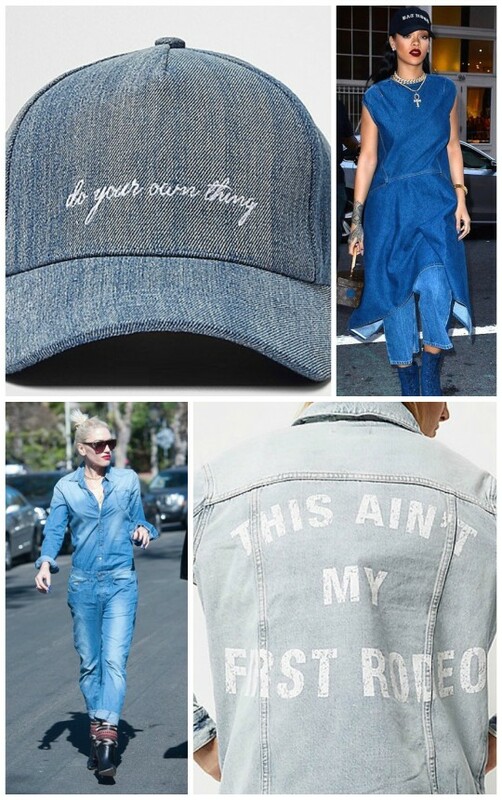 The ever so gorgeous and hot mama Gwen Stefani turns up the heat in her matching denim button down and boyfriend jeans get up. 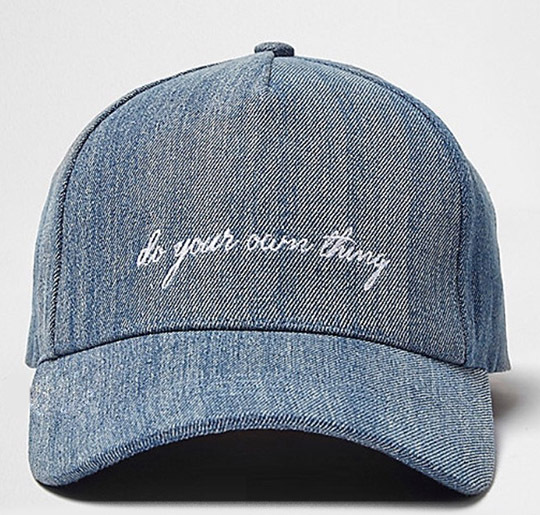 Looking to wear the look in a more subtle fashion? 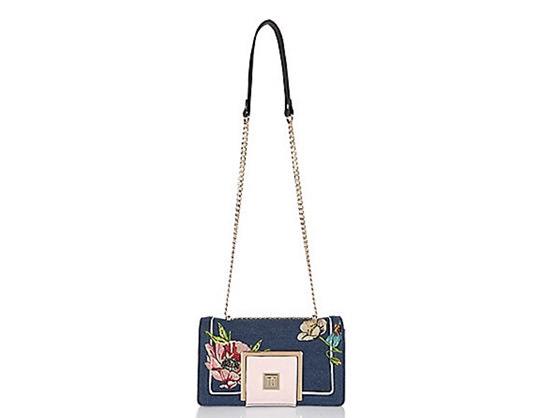 Well we’ve got you covered- head out in a classic white top, black pants and a River Island denim floral embroidered bag or go casual with classic denim jeans and a denim cap for when you’re on the go! 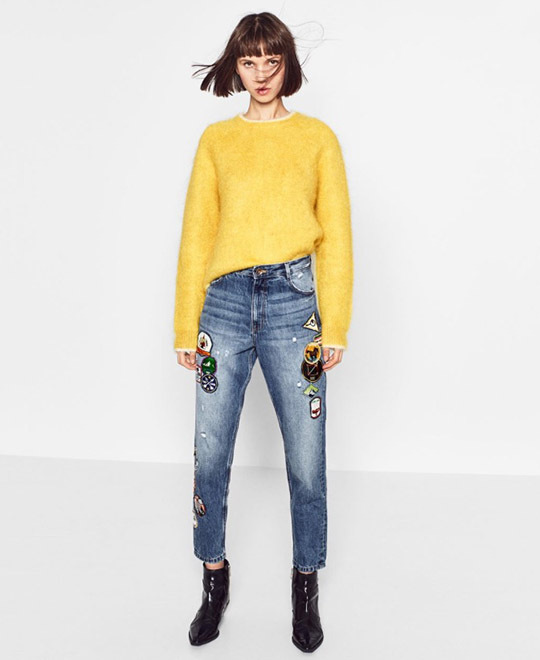 Check out our favorite picks of this trend and get on the denim band wagon to create your favorite look. What's in Store? : The new Dolce Vita Home collection 2016!